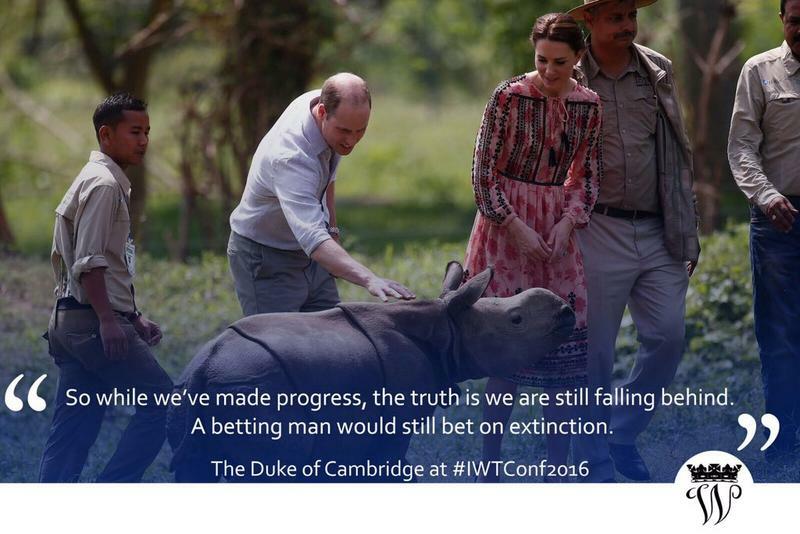 In Malaysia’s Tabin Wildlife Reserve, in Malaysian Borneo, Iman the Sumatran Rhino continues to fight for her life. 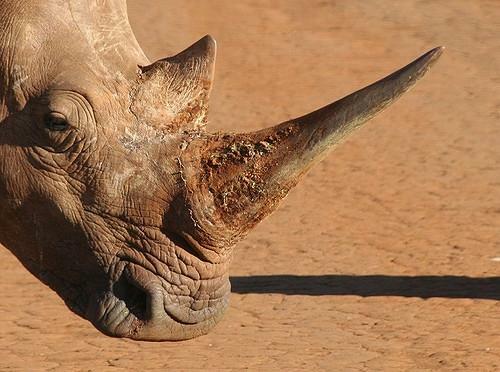 We’ve been following her story since news broke last month that the reclusive rhino, wild caught in 2014, had serious bleeding from a uterine tumor. 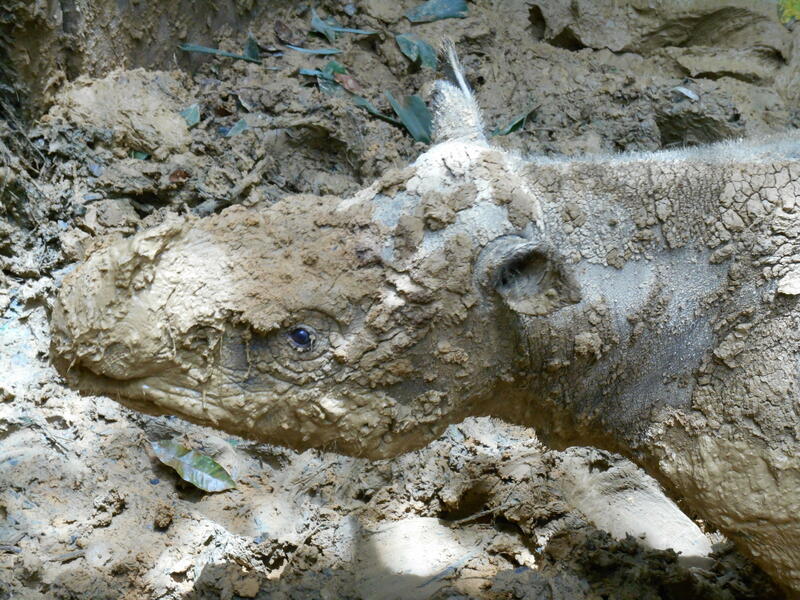 Her caretakers were desperate to get her out of her mud wallow --where she’d dodged food, water and medicine -- and into night quarters where she could be treated. She’d evaded assistance in her mud wallow until shortly before Christmas, when they coaxed her into her night quarters, where they’ve kept her since. The team got her eating and drinking fluids, though not nearly her typical amount. She was also placed on an IV, while given medications to try and stop the bleeding, and increase her appetite. An archival shot of Iman sitting in her favorite place, her mud wallow, at the Tabin Wildlife Reserve, Malaysia. But today Director Augustine Tuuga of the Sabah Wildlife Department had sobering words in a statement Free Malaysia Today reported. Tuuga said there is a procedure that could be done to stop the bleeding of her uterine tumor, but there aren’t any available experts who could do it. 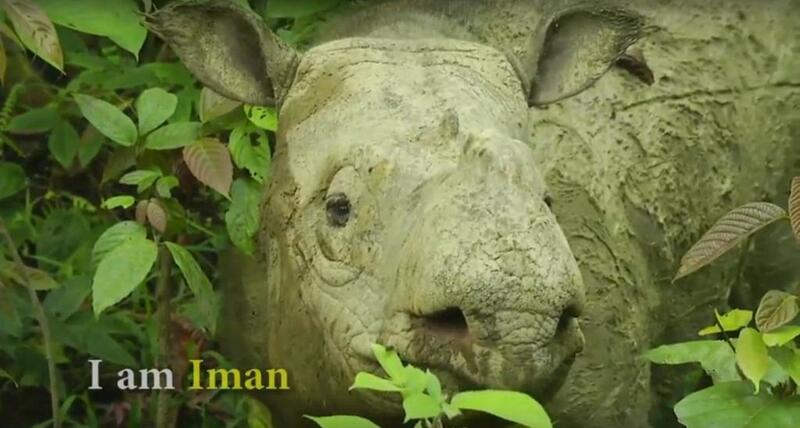 Iman is the last female Sumatran Rhino in Malaysia; one male remains at a facility supported by the nonprofit Borneo Rhino Alliance that had been intended to house several. “Iman’s most recent bleeding is severe, possibly from the detached smooth muscle tumor inside her uterus,” Tuuga said in a statement. He said that previously when she was in trouble, a type of acid would help clot the blood and stop the bleeding, which worked three previous times. But this time, he said, “The main problem is that, with the massive bleeding in the uterus, cauterizing the bleeders might be the only way to stop it. However, no known experts are available to do the procedure” and he indicated there was a serious risk to her health of putting her under anesthesia. Iman’s latest health drama started December 14. Tuuga said she is only eating 40 to 50% of her usual amount of food, about 12 to 17 kilograms daily, including fruits like bananas and mangos, which are used to hide medicine. The bottom line for Iman is that the situation is dire. After losing a female named Puntung last year at the site, Iman was the last hope for Malaysia’s effort to revive the Sumatran rhino. Male Sumatran rhino Tam joins her as the only two Sumatran rhinos in Malaysia. If she passes, all eyes will turn to the Sumatran Rhino Sanctuary in Indonesia; seven live there in captivity, including two born there, a male and female, with the help of groundbreaking research and experts at the Cincinnati Zoo. 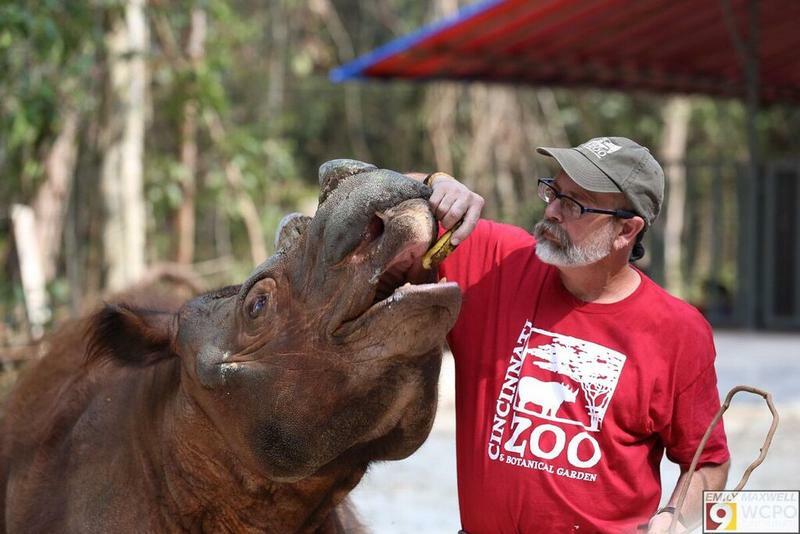 HPR previously reported on both the move of Harapan the Sumatran rhino from Cincinnati and the birth of Delilah, one of the two born in Indonesia as a result of the work of Dr. Terri Roth at the Cincinnati Zoo.